A Harrogate special needs college has appointed a new headteacher following a tumultuous year which saw 14 students temporarily excluded. Henshaws Specialist College on Bogs Lane, Harrogate, made headlines in October when it excluded 14 of its students, with 'the most complex needs', over staffing shortages. Last year, the college was rated as requiring improvement by Ofsted and the Care Quality Commission - but now it says it is taking a positive turn, after appointing its new principal, Adrian Sugden. The college caters for students with special educational needs and disabilities aged 16-25. 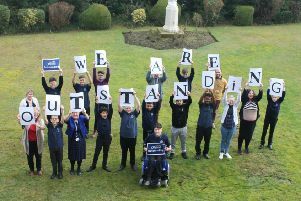 Although Henshaws continues to be ranked as requiring improvement by the CQC, an Ofsted inspection at the end of November gave the college a “good” rating across all categories. Mr Sugden has worked with young people with a range of special needs and disabilities, including autism and Social, Emotional and Mental Health needs across the north of England, including Bradford, Nottinghamshire and Darlington. He has been part of Leadership Teams for the last 14 years and Headteacher or Principal in his last three organisations, leading schools to improve their rating from Requires Improvement to Good. The College has also appointed a new Head of Care, Rosie Stapylton. Rosie, who has worked in the care sector for more than 20 years, has extensive experience of supporting people with complex physical needs and learning difficulties.